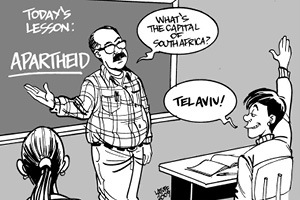 The lies of Israeli Apartheid slander is spread worldwide in more ways than anyone could imaging. From public events to social media campaigns, the methods and mediums of sharing make this an impossible demon to conquer. With simple, unified messaging, they have succeeded in convincing the masses that their slander is truth, and our truth is lies - using of course the traditional anti-Jewish tropes in doing so. These lies gain in power each year, simply by virtue of the numbers of their followers and their funds. Spreading the tentacles of Jew hate on campuses around the world every March, Israeli Apartheid Week has become the annual launching pad for their newest series of defamations, demonizations and dehumanization of Israel and Jews. Organized by an international network of antisemitic, racist, anti-Israel, and anti-Zionist groups including Jewish Voice for Peace and Students for the Justice of Palestine, whose platform, like that of the BDS movement as a whole, is based entirely on the destruction of Israel. Students both Jewish and non become the target of the abusive manipulations of the lies and propaganda spread about Israel by the BDS/SJP/JVP Jew-hating Nazis of our modern era, determined to demonize, dehumanize, and delegitimize the Jew and the Jewish State of Israel. 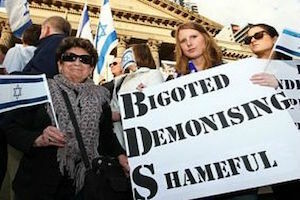 There is a historical association between BDS and anti-apartheid campaigning: boycotts were used effectively to end apartheid in South Africa over two decades ago. But the comparison doesn’t stack up; so neither does the tactic. These Israel hate weeks may be happening on campuses, but they affect all of us. 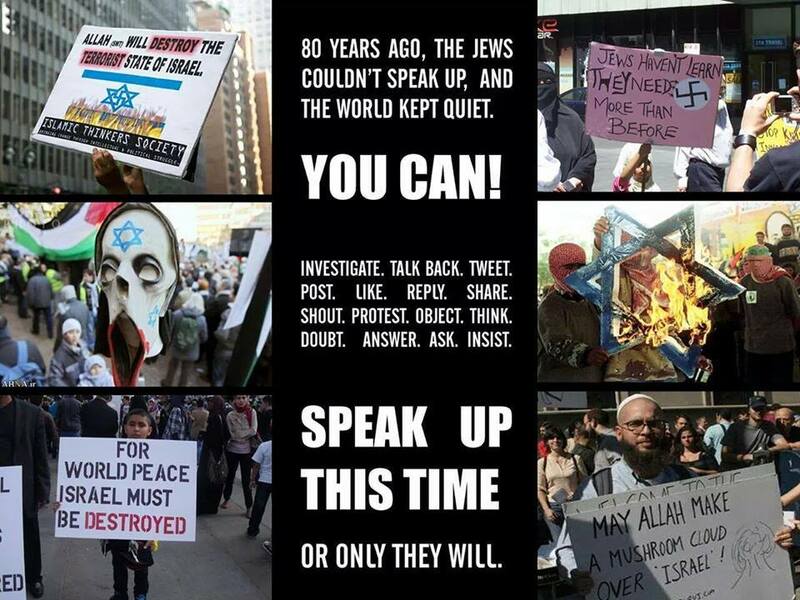 And we must band together and DO something with our passion and pride to awaken the senses of all the members of the Jewish nation to not stand idly by while lies continue to be spread about us. 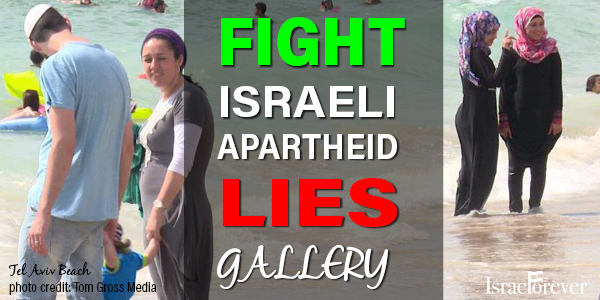 FIGHT ISRAELI APARTHEID LIES - EVEN IF YOU AREN’T ON CAMPUS! Use these resources in your social networks, educational programs and in your community in general, and empower everyone to become an ambassador of truth as a Virtual Citizen of Israel with Israel Forever. 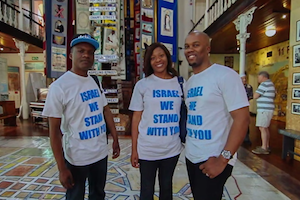 Here are a few meaningful ways you can make a difference in the awareness of truth and justice for the rights of Israel. 1. 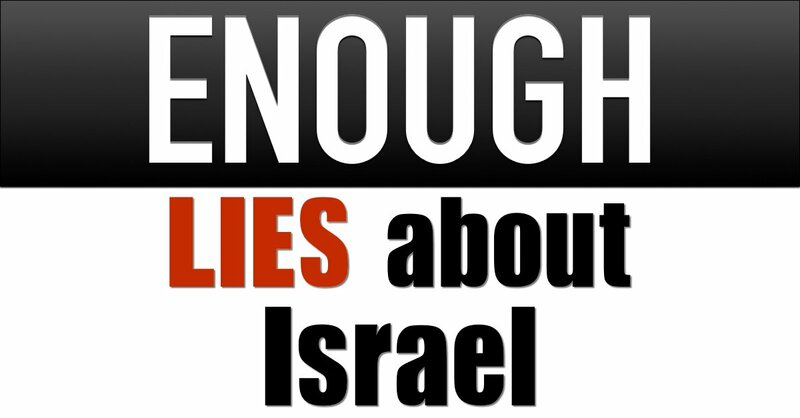 Become educated on the facts about Israel and why she ISN’T an apartheid state with these videos and articles. Here are some great articles we recommend. Organize a workshop about the errors in the Israeli Apartheid claims, the lies behind the BDS movement, and learn the necessary tools to become a vocal advocate either locally or online. Hear from an expert, share skills and experiences, and join our global community of Virtual Citizens of Israel refusing to stand idly by while the world continues to beat down on Israel and the Jewish people. We have a wide range of activities you can use - Be in touch with us and we can work with you to coordinate a great program, and even to suggest workshop facilitators in your area and help you plan your workshop. 3. 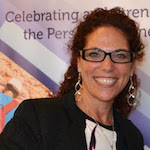 Hear from inspiring speakers - live or virtual! There are many speakers ranging from academics, politicians, diplomats, and cultural activists that we can suggest for you to host. Contact us for recommendations on amazing speakers you can bring to your community OR host a virtual encounter! This enables people to sign for the live experience, but can also be recorded for people to view at their convenience. You can use Facebook live, Google Hangouts, Skype, or any good platform for group conversations. Here you will find a few suggestions for personalities that can make a strong impact for your community or target audience through a virtual meetup. We are happy to assist with making the connection, just let us know! 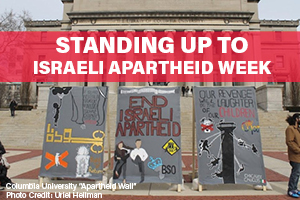 A creative protest action can highlight the complicity of a professor, student group, company, university or other institution that openly supports the hate-driven agenda of Israel Apartheid Week and other BDS and Israel-hating movements. Design a campaign that increases not only public awareness, but has a clear goal of the change you seek to make. Share articles with your network either through email or on social media. Use creative visuals to help communicate your message and make sure to use the #IsraeliApartheidWeek hashtag. This is a great way to draw the attention of those who believe they are supporting something good when in fact they are following an ideology of baseless lies, hate and demonization. Check our galleries for great memes to share! It is part of the Palestinian’s ideological goal to erase Israeli history, culture, and identity. Organize a social event to showcase and celebrate Jewish history, Israeli art and music, and of course food to build connections between people of different backgrounds and beliefs. The discussions that can happen in such positive spaces can strengthen our effort to fight the Jew hatred through our unity. These types of events are very effective in drawing in people who wouldn’t normally be interested in a panel or workshop type program. Explore the Jewish historical connection to the land using film, art or literature - we have lots of activities for you to use - just contact us! Showing a film can be a great way to engage new audiences and help people understand the realities of Israeli society and culture, to debunk the baseless claims of “apartheid” being used by those who seek nothing other than to destroy the one Jewish state in the world. Such gatherings can be done with whole communities, classrooms, or even among a group of friends. Organize a discussion after the film to allow people to further develop their understanding and share their thoughts. Even without an “expert” in the room, open discussion on the issue can be an enlightening and meaningful experience and can empower those involved in their pursuit of defeating the power of Jew-hating propaganda and lies. 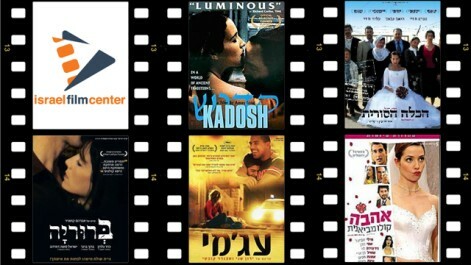 Here are a few great classics for viewing and discussion, or check out these Israeli favorites. Interested in an exclusive engagement program for use before or after the film? Contact us and we are happy to provide a resource for you! Joint events and initiatives with other movements that explore the many freedoms of Israel for humanity, justice, equality and human rights. Work together to come up with an event concept or campaign that exposes different forms of oppression by the anti-Israel or pro-Palestinian/Islamic/Arab governments, cultures and religious practices - of course being careful not to denigrate or arouse collective hatred or blame against any other people. 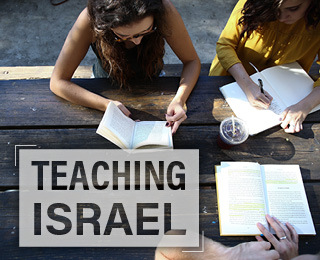 Explore how Israelis face common opponents with the world witnessing the rise of extremism and terror, and strengthen the awareness of how Israelis succeed in living beyond terror. Highlight ways that Israelis overcome trauma and strengthen our commitment to a world free from oppression by terrorist ideologies. We suggest considering seeking out small grassroots organizations in addition to the larger well-known organizations - partnership is everything! We know from experience that the good people at the World Zionist Organization and American Zionist Movement, EMET, Middle East Forum, Students Supporting Israel, StandWithUs, CAMERA, JCPA and JFNA are all looking for opportunities to partner for great ideas and the shared mission of spreading truth about our homeland and nation state! WE NEED TO BAND TOGETHER WITH ONE COMMON GOAL: to spread the word about #IsraeliApartheidWeek and its year-round global propaganda as nothing more than a tool for spreading Jew-hatred. There are many ways you can combat the power of their lies - most of all by spreading truth and awareness of the dangers these efforts represent, and exposing their manipulative messages for the blood libels of our time. 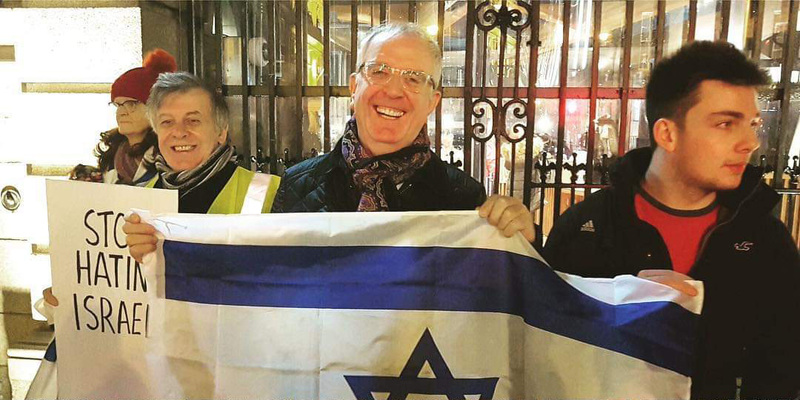 Our resources are designed to be tools to help YOU make a real and tangible difference as we fight the Jew-hatred in its many forms. Please share with us announcements about your activism and engagement for others to be inspired by!